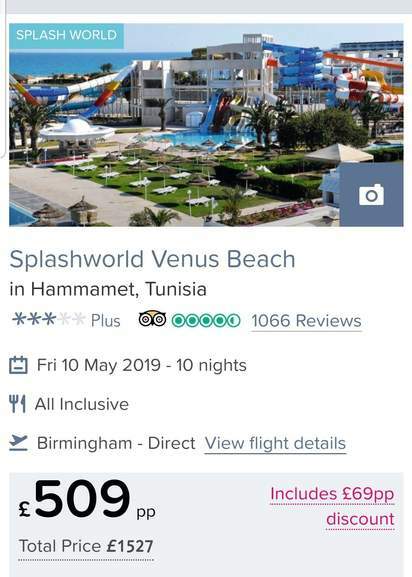 This seems like a pretty good deal if you search well enough you can find some pretty decent All Inclusive deals. Valid for Departures 1st May 2019 to 31st October 2019. Added bonus is it still works on Free Child Place Holidays. Plus Quidco Cashback is currently 4%. It's worth also noting this also applies to families with one child, however i believe the minimum spend is £1,000. Other voucher codes SALE100 giving £100 off Holidays booked from 1st May also works in conjunction with Free Child Places. 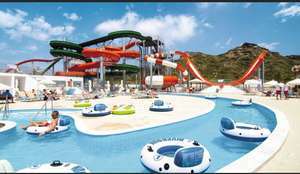 If you don't want a 'Splash World' or 'Holiday Village' hotel, there are also unique £150 off codes off 14 night holidays which pop up on the website which can also be used with Free Child Places. 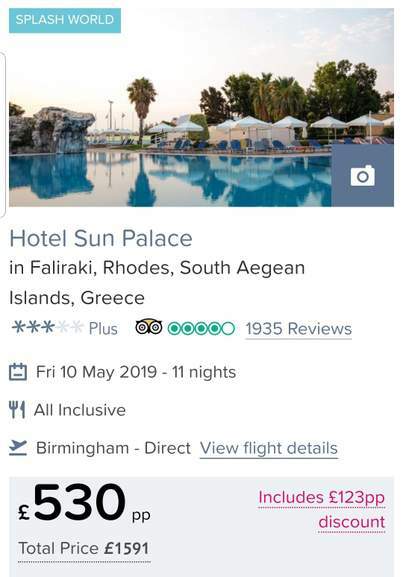 To find one, just search for a 10 night holiday, click on it and within the holiday description it will say "extend to 14 nights and get £150 off your holiday" It will give you a code to apply to any 14 night holiday booked from 1st May onwards. Afraid not, valid 1st May to 31st October 2019. That said I just booked for May and they've sent me another £100 off voucher code for 2020! Site wide on Thomson (TUI) and First Choice (owned by TUI) - and has been for at least the last 2 weeks . Unfortunately doesn't apply to holidays before 1 May . Comparing various prices the "Voucher Discount " does appear to be "baked in " to the prices , so perhaps not as good as it appears ? 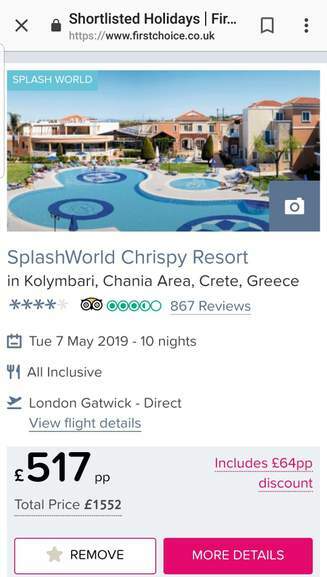 Site wide on Thomson (TUI) and First Choice (owned by TUI) - and has been …Site wide on Thomson (TUI) and First Choice (owned by TUI) - and has been for at least the last 2 weeks . Unfortunately doesn't apply to holidays before 1 May . Comparing various prices the "Voucher Discount " does appear to be "baked in " to the prices , so perhaps not as good as it appears ? I'm looking for the cheapest option taking a child who'll be 13yrs - don't think Tui/first choice do free child places after 12yrs? Usually go all Inc but if there's anywhere that's cheap to be self catering or b&b with reasonable package prices we'd consider that too. I'm looking for the cheapest option taking a child who'll be 13yrs - don't …I'm looking for the cheapest option taking a child who'll be 13yrs - don't think Tui/first choice do free child places after 12yrs?Any suggestions?Usually go all Inc but if there's anywhere that's cheap to be self catering or b&b with reasonable package prices we'd consider that too. Depends whether you want to take your child out of school or not. Jet 2 restrict child ages also I believe, I'm unsure on Thomas Cook. 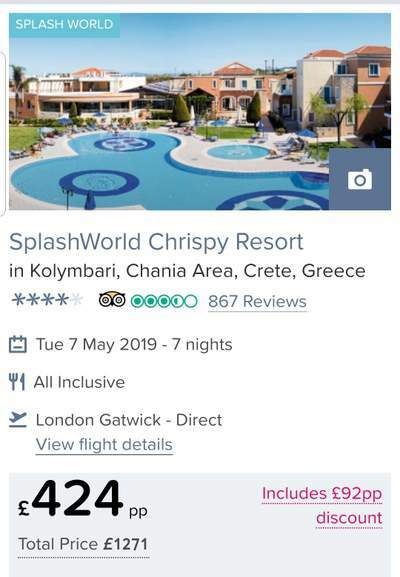 First choice have some great May deals even without free child places to places like Gran Canaria and Fuerteventura but I'm not sure about school holidays, I always feel you get stung no matter what in school hols.